Oxbow Skijacke Gr. NEU mit Etikett. Maße : Gesamtlänge ab Schulter ca.72cm. reißfest wasserdicht winddicht. Exclusive Boarderhose. Boarderhose der Kultmarke Oxbow. Bund an den Füßen mit Gummizug und von innen mit Anti-Rutsch-Gummi versehen. Breiter Bund am Bauch mit Gummizug. Oxbow White Peak Uni. Oxbow has developed clothes for a new boardsport. FREE shipping and fast delivery! Style: ski. Basic info Season: winter. Features: water resistant. Color: brown. Polo shirts. Type: Jacket. Fastening: zip. 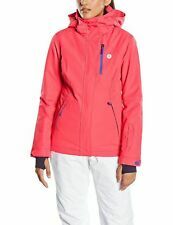 OXBOW G2 DINGLE LADIES JACKET. Slightly thinner cut, detachable hood, with thumb sleeves, lined hood. AND WIND PROTECTION. BREATHABLE, WINDPROOF, WATERPROOF, SEAMS SEALED. WATERPROOF AND BREATHABLE PERFORMANCE FABRIC. OXBOW . Size: XL 36"w tightens via velcro tabs. Colour: Grey. RRP Over £80. small zipped pocket inside. see all 10 pics for size guide. Oxbow Jacket Size S - No Hood. And a small area of missing stitching near the armpit, there are two rows of stitching and a small area in one of the rows is missing which does not cause any issues, purely superficial - see photo. Size 3 Oxbow, but fits a UK Size 12. Pocket, Inside Pocket, Pocket Mask. 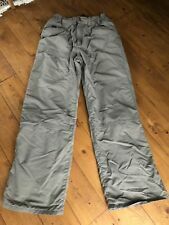 Very cool khaki snowboarding trousers with zip pockets, fleece lined and popper/bungee fastening. Elasticated waterproof inner to stop the snow rising. See matching Quicksilver jacket on my other listing, they look great together. Very good condition and very warm/waterproof. Condition is Used. A few marks that can be easily washed out. Oxbow Beanie Hat as pictured. Please check my other items for similar. Oxbow in black all with new labels attached inc original price. These Oxbow Snow pants are still the latest performance dry edge technology - waterproof / windproof with breathable fabric. Very hard wearing and highly water repellent. 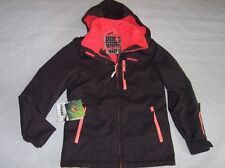 Oxbow snowboarding jacket S small. Great Ski Jacket Size 8. Oxbow long sleeve T Shirt in green size xl. Ex shop stock from a few seasons ago. New with tags.